JEN is currently in partnership with five organizations to carry out its projects in Tohoku. Although our partners usually work separately, they gather at the JEN Partners’ Meeting once a year to share information about their activities and to hold a joint workshop. 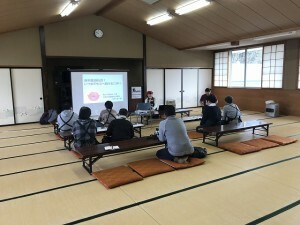 In March, two organizations who had found mutual interests in the Partners’ Meeting last October jointly held an event in Miyako City, Iwate Prefecture. 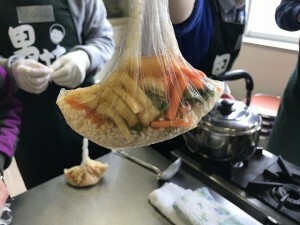 The event was called the “caregiving class for men in Miyako—Aranami Kitchen—”*, aimed at men looking after their family members. 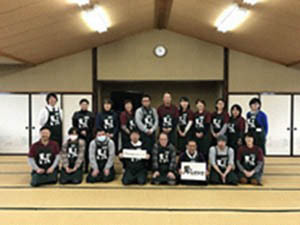 The two organizations that collaborated in this effort are: the “caregiving class for men,” which provides support to male caregivers in Miyagi Prefecture, and the Miyako City Council of Social Welfare, which operates the children’s cafeteria, “Shiokaze Kitchen,” and “Aranami Kitchen” for men in Iwate Prefecture. 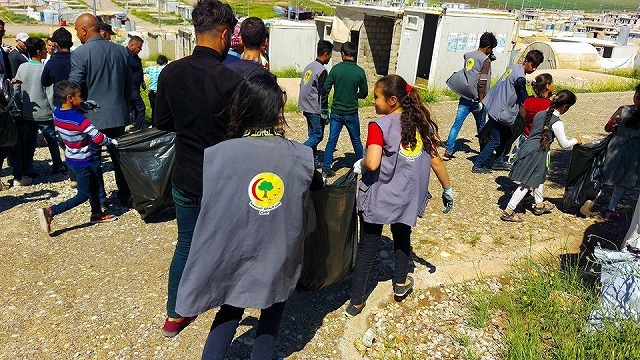 The two organizations shared their knowledge for this innovative challenge. 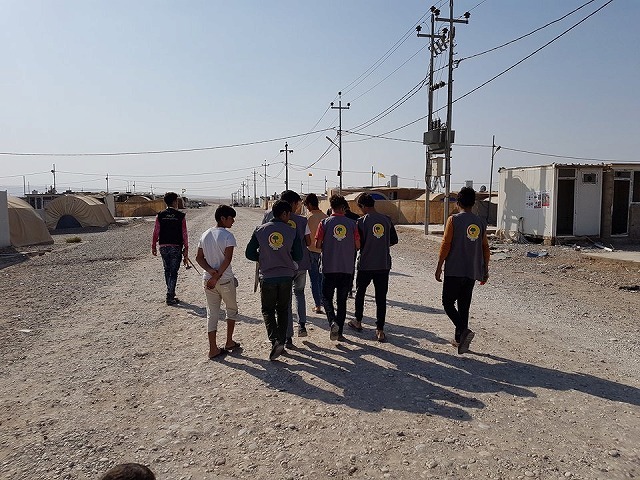 The event was joined by participants of “Aranami Kitchen,” who aim for self-reliance through the common interest of food and information sharing, and local men who were or might be caregivers. 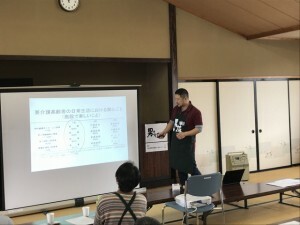 At the beginning of the event, care manager Mr. Takahashi explained about the activities of the “caregiving class for men” and about “pack cooking”. The participants later tried this cooking method during the event. 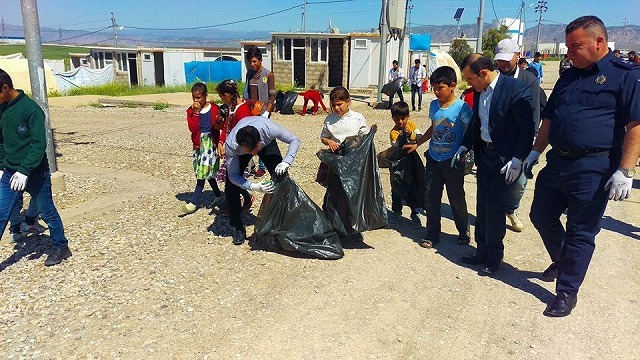 “Pack cooking” is a cooking method that makes use of plastic bags. 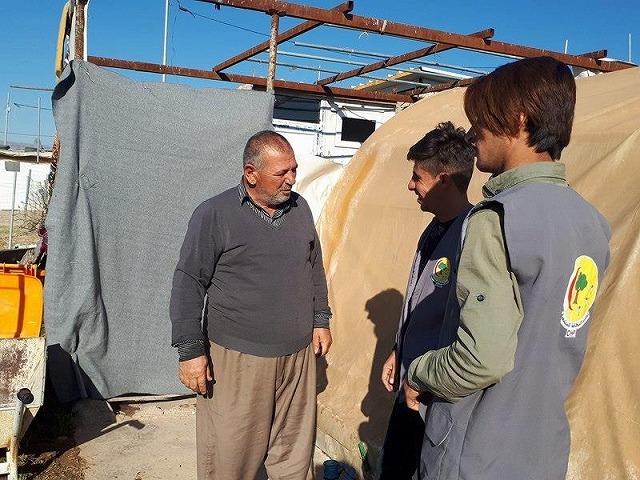 This method allows male caregivers, who are usually not good cooks, to easily prepare nutritionally balanced meals, and is also useful in the event of a disaster. After learning this method, pack cooking was immediately put into practice. Seal the ingredients and seasonings in a plastic bag especially made for this purpose and warm it up for about an hour in hot water, and you can easily make a nutritionally balanced delicious meal. While warming the packed ingredients, Dr. Kawase gave a talk about oral care and health. The participants learned about the importance of proper meals and the care of the mouth, which leads to longevity. Dr. Kawase also explained about denture care in caregiving, to which the participants listened carefully. As they listened to Dr. Kawase, the pack cooking meal was ready. 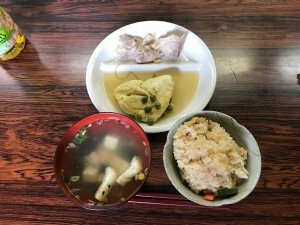 The menu consisted of cooked rice, salted chicken, cooked egg and tofu with a covering of kudzu sauce, and steamed buns. The rice, side dishes and buns were cooked so deliciously that everyone was amazed. The event was highly appreciated by the participants since they learned about valuable topics both for caregiving and for their own health. We hope that this event will be of great help for all participants. * The present "Aranami Kitchen" was held with the cooperation of JEN and the “Red Feather” campaign. 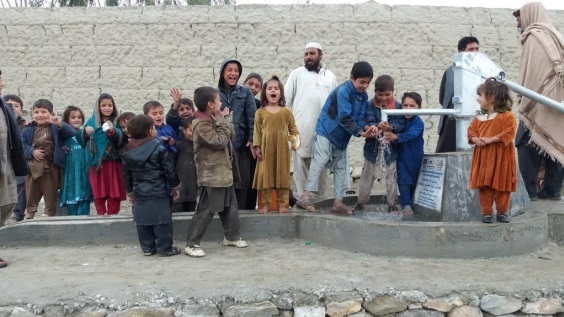 JEN completed construction of 11 water wells and they were handed over to communities in Chaparhar District in Nangarhar Province. 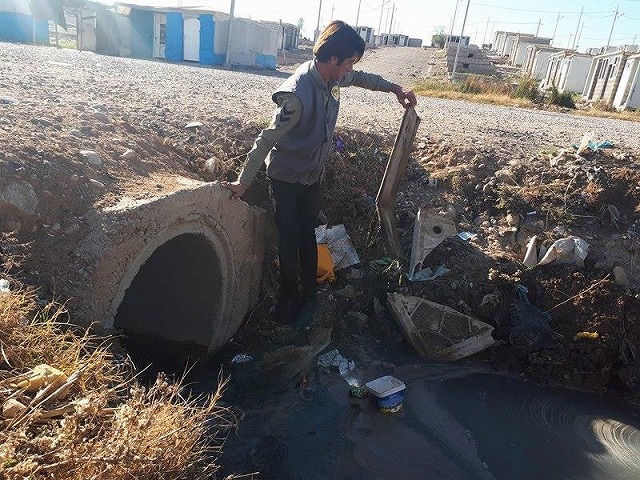 These wells will provide safe water to people who rapidly increased with return from other countries and due to displacement. Children are over joy with splash of water. Adults look relieved getting a stable water source. From now on, people will responsibly take care of the wells. 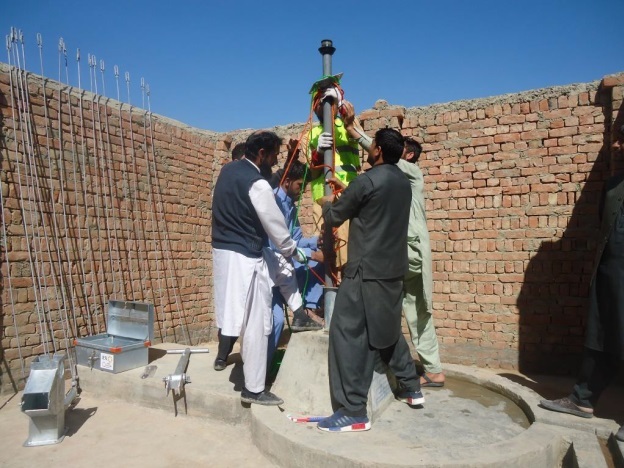 They learned the structure of a well and how to maintain it and made plans of maintenance. 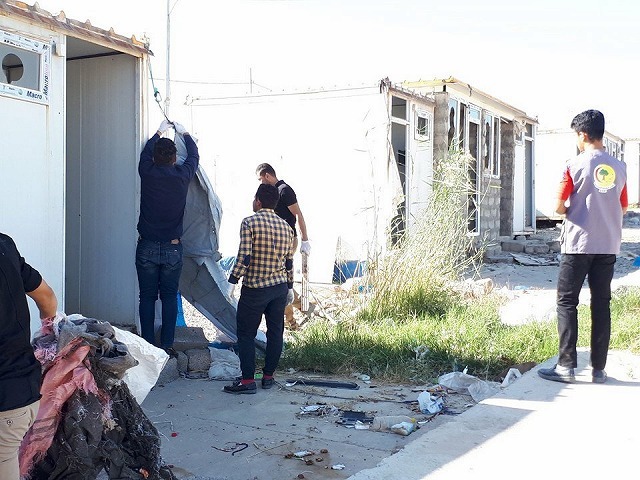 We are proud we’ve provided small but essential support for people’s lives.